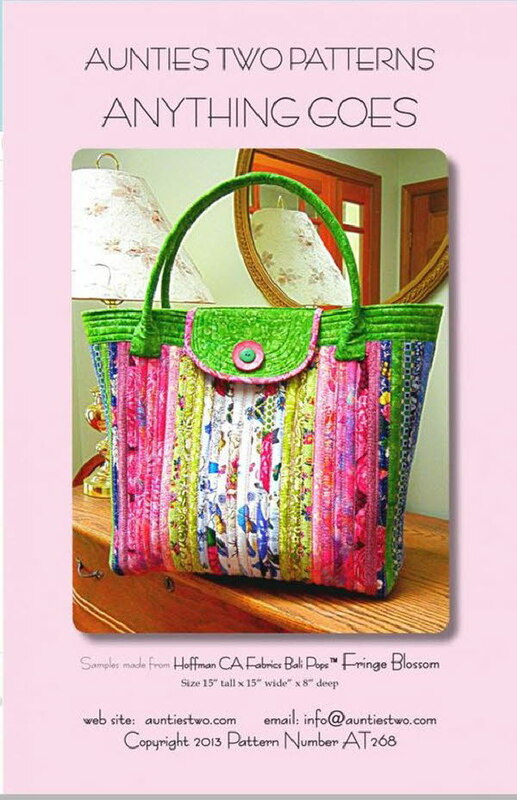 In this class, you will make a good-sized tote using a 2 ½” strip roll or leftover binding scraps and scraps of batting cut into strips. After making this tote, you will want to make another and another. Class fee $10. Pattern $9.